Mission: shipyard sabotage! 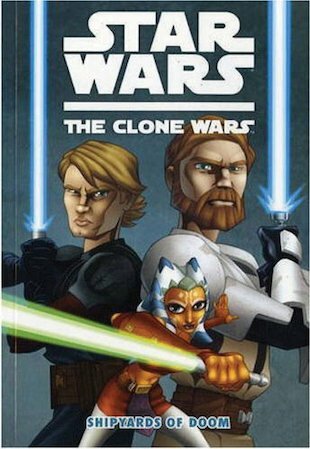 Anakin Skywalker, Obi-Wan Kenobi and feisty newcomer Ahsoka Tano are on a daring mission to uphold the Republic. In these early days of the Clone Wars, the Separatists are gaining the upper hand, manufacturing warships at incredible speed. But if the brave Jedis can get into the Banking Clan Shipyards, they might be able to stop the problem at its source… An explosive graphic story in stunning colour!